Wonder No More! Here Is Capricorn’S True Agenda Revealed! Capricorns are responsible, hard-working, and known for their strong sense of duty. They’re always willing to help and support their loved ones and stay loyal throughout their entire lives. It often happens so that they have to stay independent although they don’t want to because they prefer to be sure they can always rely on themselves.  However, the secret desire of Capricorn representatives is to win the respect and admiration of their close people, including their relatives, friends, and colleagues. When they don’t receive this admiration for a long period of time they tend to become rather ill-humored and lose all their motivation.